India's decision to ban most of its cash is a disaster that has shattered people's trust in the government. That's the view of former prime minister, Manmohan Singh, a fierce political opponent of his successor Narendra Modi, who announced the shock move to scrap all 500 and 1,000 rupee notes early last month. In an op-ed on Friday for Indian newspaper The Hindu, Singh said Modi's decision was "a mammoth tragedy." The "impetuous decision" had "shattered the faith and confidence" of Indians in the government to protect their money, he wrote. Modi says the cash ban was supposed to deal a blow to India's widespread corruption and tax evasion, while removing counterfeit money from the system. "Both these intentions are honorable and deserve to be supported wholeheartedly," Singh wrote, but added that "the road to hell is paved with good intentions." With desperate Indians still lining up in their thousands to deposit old notes a month later, the disruption to daily life has left many wondering whether it has all been worth it. India's booming economy is also suffering. Analysts estimate the cash crunch could shave up to one percentage point off GDP growth in the coming months. Modi and his government say the short term pain will result in long term benefits for the country. Finance minister Arun Jaitley has also slammed Singh's government for failing to tackle so-called "black money." "I challenge them to spell out a single step that they had taken during 10 years of their rule," he said this week. 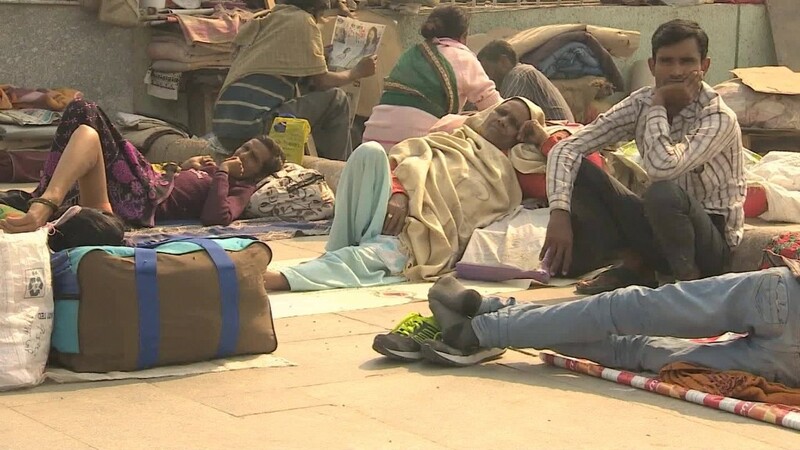 Singh, who led the country from 2004 to 2014, said over 90% of Indians' earnings are paid in cash, and the ban has turned the lives of hundreds of millions of poor people upside down. He claimed that only a tiny fraction of untaxed income is held in cash, and the ban is therefore nothing more than a "rap on the knuckles" for those that have it. Speaking in parliament two weeks ago, Singh described the policy as "organized loot, legalized plunder." He's not the first notable voice to criticize the cash ban. Nobel prize-winning economist Amartya Sen called it "despotic," and India's former chief economic adviser Kaushik Basu wrote that it was "likely to fail." Others such as Harvard's Ken Rogoff and Cornell University professor Eswar Prasad have backed the move. "Does what [Modi] has done solve the problem? Certainly not," Prasad told TV channel CNBC-TV18. "But it certainly creates momentum towards [the] right sort of reforms." Rogoff, author of 'The Curse of Cash,' described the rupee note ban as a "bold, audacious move." He said a gradual phasing out of the notes would have been better, but the ban could eventually have a positive impact. "The short run costs are unfolding," he wrote in a recent blog post, "but the long-run effects on India may well prove more than worth them." Correction: An earlier version of this story misstated the potential negative impact to gross domestic product growth from the rupee ban.